Home > Patenting > When Should You Patent? The very nature of invention — whether it’s the 99% perspiration gradually progressing to a finished product or a sudden insight which changes everything — makes it difficult to create any kind of one-size-fits-all action plan. When you patent can make a big difference to the time-scale of your progression, but it’s not an easy decision to make. When is Your Invention ‘Finished’? Few inventions are ever really ‘finished’. Even when in full production and selling well, most manufacturers have a policy of at least aiming to improve their products, whether through rectifying actual defects in the original design, or adding or modifying features in response to customer demand (or indeed to create new customer demand). The product life-cycle in the market place means that for many large companies (especially in high technology fields and the motor industry) a product’s replacement may be well under development before the original even hits the market; while that’s not usually feasible for an independent inventor, we all usually have ideas about how our invention might be developed in the future. But should we incorporate these now, and hold off on the patent until they’re sorted? The sensible answer — from the point of view of an inventor intending to turn his or her invention into a business — is probably to hold off drafting your patent application until you have an invention which features at least one ‘inventive step’ and which would, so far as you can tell, be suitable as a product, in that it would offer a customer benefits superior to those offered by others in the market. You will, at this stage, have working prototypes which, whilst perhaps not looking like a production item, demonstrate the benefits clearly and are more than simple proof-of-principle items. Reaching this stage means that you could, if need be, freeze the functional development at that point and concentrate on getting it into production, and would be satisfied with your efforts. Additional functionality, advanced features, further development and so on can be added later, and in subsequent patents (although this will, of course, cost more). 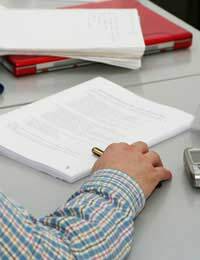 But having a patent applied for, which you can show to potential manufacturers, investors and partners (together with being able to use ‘Patent Pending’ on the brochures and business plans), and which, crucially, has illustrations of a product similar to that which you are pitching, effectively presents your invention as a consistent business proposition. It works: everything is in place, technically and IP-wise, to take it further, and that consistency and ‘sortedness’ is something which is rare among popular perceptions of inventors as ‘garden-shed eccentrics’. Again, having a sensible and relevant patent application filed is a significant stage in your transformation from inventor to entrepreneur. Realistically, the main issues with when a patent should be sought will relate to how long it takes to draft it, whether you do it yourself or have a patent attorney do it, and issues that arise when drafting it. It’s unlikely to be a strictly linear process. For example, you may find when searching for prior art to cite that other patents that you had missed have previously touched rather closely on the subject of your own. In these cases, you may need to develop your own invention further to take it well beyond the prior art — while apparently an inconvenience, this can often spur and inspire new ideas and innovations which further improve your invention, even if they frustrate your initial desire for progression with the patent. On the other hand, it’s worth remembering that during the application ‘priority’ period, before instructing the UK Intellectual Property Office to proceed with an examination, you can submit changes to your patent and claim priority from the original filing date. Thus you can start to use ‘Patent Pending’ before the ‘final’ version of the patent is actually filed, but many inventors find this period so hectic that substantial revisions are not really feasible. Taking a long-term view, since the period of protection a patent offers is finite (20 years in the UK), you really want to delay filing it until the latest possible moment before production starts in order to maximise the period of protection, yet you may not be able to get a production deal until it is filed. This means you must inevitably compromise to some extent; but remember that within a couple of years of filing, your patent will be published publicly in the Patent Journal and online, and available for anyone to read, including potential competitors. If your product is still years away from production at this point, you are giving away some very important information. The best advice is to be rational, sensible and compromise where necessary.